March 29, 2016 – At the end of a long day of work, many people like to grab a cold pint of beer. Few of them think about the bubbles in the glass and how much brewers have to pay to put them there. But Robert Zubrin — president of the Mars Society and founder of multiple aerospace technology companies — does. Zubrin and his companies have worked with Johnson Space Center’s In Situ Resource Utilization (ISRU) team for years, developing technologies that could take existing substances on Mars — especially Martian air, which is 96 percent carbon dioxide (CO2) — and turn them into fuel, oxygen, drinkable water and other crucial resources. The systems also have a range of applications on Earth, including an oil and natural-gas recovery technology Zubrin has developed and commercialized. But when he’s not working to change this world or colonize others, Zubrin also enjoys a good microbrew. Now, he’s found a way to use space technology to recycle fermentation-created CO2 to help cut costs for brewers. “When you ferment beer, the process that produces alcohol also produces carbon dioxide,” explains Zubrin, noting that CO2 is also necessary later, to carbonate the beverage. Major breweries have multi-million dollar systems that capture and purify the CO2 produced during fermentation so it can be used later for carbonation and other functions, such as purging tanks. These expensive systems, however, aren’t economical for the vast majority of craft breweries proliferating in the United States. Instead of capturing, processing, and storing CO2, small brewers instead let the gas dissipate into the air during fermentation, only to have more of it trucked in from supply companies later on, paying an average of $200 to $300 per ton. 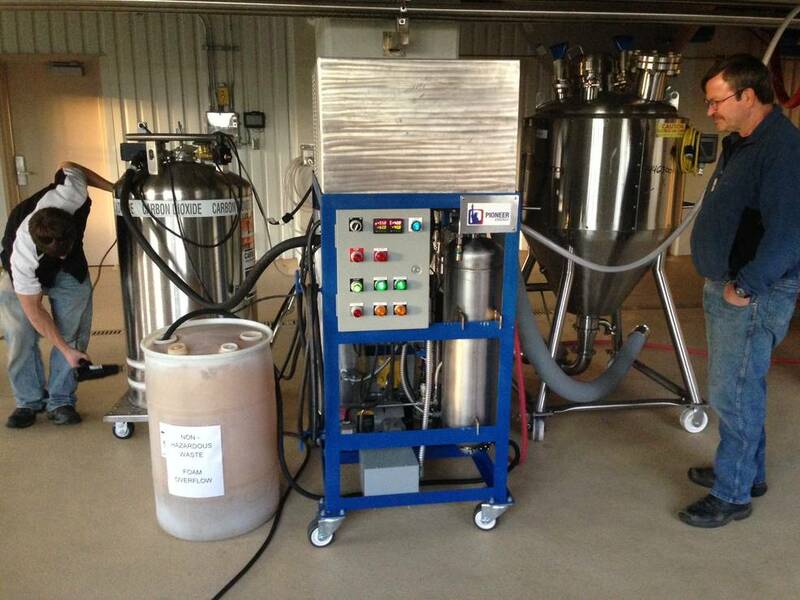 Enter Lakewood, Colorado-based Pioneer Energy, with its CO2 Craft Brewery Recovery System, developed from technologies created to harvest, liquefy and store the gas on Mars. The mobile cart gives small brewers capabilities similar to those enjoyed by their large-scale competitors. “Our system produces about five tons of carbon dioxide per month,” says Zubrin, adding that this amount could supply a brewery that makes up to 60,000 barrels of beer per year. For those making more, the units can be stacked to increase capacity. 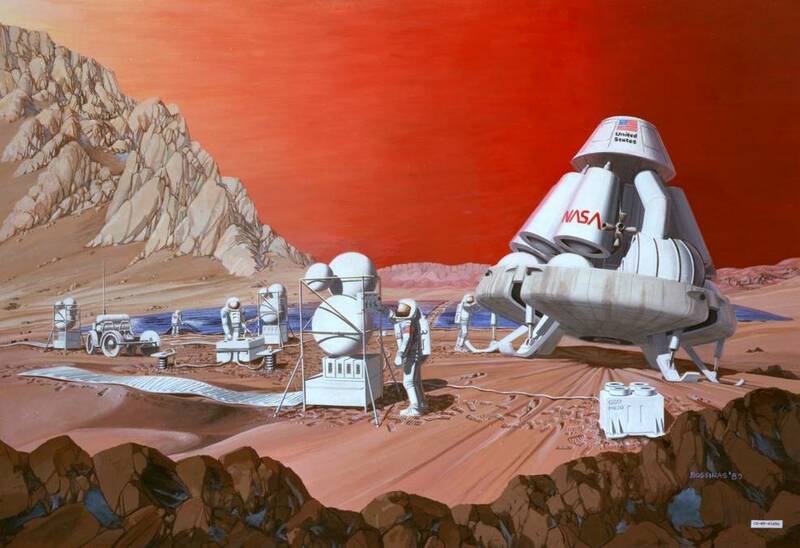 A typical proposal for a mission to the Red Planet includes plans to send the return vehicle two years in advance of the crew, during which time the vehicle would autonomously produce resources both for the mission and the journey home. Any system for mixing and matching molecules on Mars, therefore, would also have to be fully automated using techniques like those Zubrin has worked out during his years of ISRU work. He credits his NASA work as the foundation for the project, which he hopes will save breweries around the world money and greenhouse gas emissions.